Discover why St. Stephen is Canada’s Chocolate Town! The Chocolate Museum, opened in June of 1999. The Museum tells the history of our wonderful local chocolate company, Ganong Bros., Limited, candy makers in St. Stephen since 1873. Come see the history of the coco bean and how it came to be the lovable treat it is today. The Museum is an indoor, unique, interactive experience. There is no better way to sweeten a child’s enthusiasm for history, entrepreneurship, candy-making, and business than with chocolate! Adults delight in childhood memories and traditions that were influenced by confectionery. With our chocolate treats, chocolate decor, and our chocolate themed gift shop, you will be sure to have a “sweet” day! 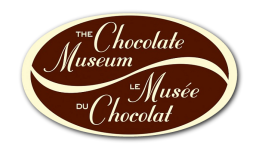 The Chocolate Museum’s mission it to provide experiences and presentations that delight, educate and entertain, while fostering partnerships, building community commitment, and sharing our history & heritage. The Chocolate Museum implements economic, historical, cultural, and educational benefits for the people of St. Stephen and surrounding communities. To learn even more about the impact of Ganong Bros. Ltd. on the town of St. Stephen, take the Heritage Chocolate Walking Tour, which is offered at daily, Monday to Saturday, in July and August. It includes a tour of the Museum plus an outdoor walk past homes and buildings which relate to the history of the Town of St. Stephen and Ganong’s. This is an experience not to be missed! The Chocolate Museum is proud to have partnered with the Charlotte County Museum on the project, “Community Memories: Capturing the History of St. Stephen”. To learn more about this project, please see the media releases, below.